Families across America have been bracing for an especially harsh flu season. First, health officials have been warning about the “Aussie flu,” which has killed hundreds and hospitalized thousands in Australia in recent months. Closer to home, in the United States, a 10-year-old boy from Connecticut and a California mom are among the latest victims of a deadly influenza epidemic that experts fear could get worse. Now, epidemiologists are sounding alarm bells about yet another strain of the influenza virus, called the Japanese flu, which appears to be even more communicable than other types of flu. What exactly is the Japanese flu? How worried should you be? And what steps can you take to protect yourself and your family? Let’s look at some information that you need to know. Type A is considered the most lethal (the Aussie flu fits into this category). Type A strains can be found in both animals and humans (which explains why the Avian flu was such a dangerous pandemic). Type B is considered a more moderate strain of the virus (the Japanese flu belongs in this category). This type only affects humans. Type C is considered the mildest strain of the flu. 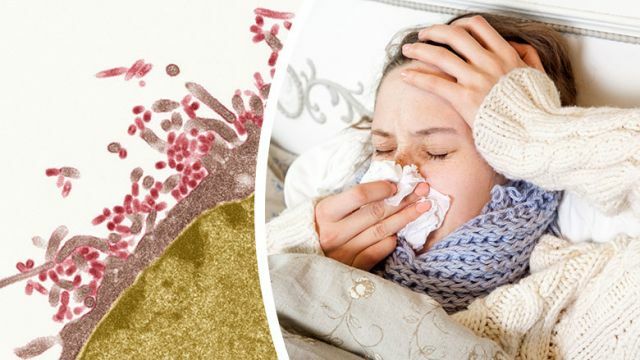 The Japanese flu is supposedly less severe and lethal than the Aussie flu, but it is far more easily spread and communicable according to health experts. That’s because children appear to be more vulnerable to this type B strain and kids are widely regarded as “super-spreaders.” As a result, the Japanese flu has the potential to travel through populations very quickly. Despite its reputation as less lethal, the Japanese flu can be quite deadly. The 10-year-old boy from New Canaan, Connecticut, who recently died after developing flu-related pneumonia was believed to have been infected with a type B strain. Both the Japanese flu and the Aussie flu are wreaking havoc across the globe. In the UK, at least 8.3 million people are expected to be hit by the bug and more than 120 people have already lost their lives. The vast majority (60 percent) of flu cases in the UK are caused by the Japanese flu (while 20 percent of the cases are precipitated by the Aussie flu). Wash your hands frequently throughout the day with warm soapy water. Avoid touching your face, particularly your mouth, nose and eyes. Clean and disinfect surfaces that you touch frequently, such as doorknobs, cellphones and steering wheels. Try to stay at least six feet away from anyone who is sneezing, wheezing or coughing. If someone in your household has the flu, then consider wearing a surgical mask. In most instances, symptoms of the Aussie flu are more severe and last longer than the Japanese flu. However, either strain can lead to pneumonia or other life-threatening complications. Stay properly hydrated (by drinking water). This will boost your immune system and help flush out the virus. Get plenty of rest. However, sitting upright while resting (instead of lying flat) can reduce your chances of getting viral pneumonia. As Dr. Jennifer Collins, a professor of immunology at The New York Eye and Ear Infirmary explains, “When you’re sitting up, gravity is helping you. When you lie flat, that post-nasal drip starts pulling on the back of your throat, making it much more difficult to breathe through your nose.” This can help prevent the virus from infecting your lungs. Make yourself a cup of peppermint tea (with a lemon juice and honey). Peppermint will soothe your throat and settle your stomach. It also contains antimicrobial and antimicrobial properties. Studies have also shown that methanol, the active ingredient in peppermint, helps thin mucus and ease congestion. Ginger, chamomile and green teas have also been shown to help reduce many cold and flu symptoms. Previous articleDoes Donald Trump Have Heart Disease? Hey Buddy!, I found this information for you: "6 Ways To Avoid The Japanese Flu (And What To Do If You Get It)". Here is the website link: https://www.thealternativedaily.com/6-ways-avoid-japanese-flu-get/. Thank you.